Knowing how to spot potential problems and determining how reliable a used vehicle is can save you from expensive automotive headaches down the road. 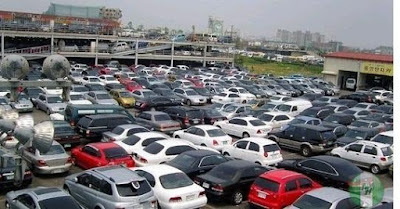 Autofactorng, a quality driven e-commerce retail company for sales of auto-parts shares 5 things to consider when you are aiming to buy a used car. To reduce the risk of purchasing a trouble-prone vehicle, identify models with a good reliability record before you begin shopping. If the car you’re interested in is known to have certain trouble spots, you know to pay special attention to those components during inspection.Take along a friend for help. Do your inspection in broad daylight on a dry day as floodlighted lots can make cars look shiny and hide body defects. The car should be parked on a level surface and shouldn’t have been driven for at least an hour before your inspection. a. Body condition. Check each body panel and the roof, looking for scratches, dents, and rust. Examine the lines of the fenders and doors. Misaligned panels or large gaps can indicate either sloppy assembly at the factory or shoddy repair. The paint colour and finish should be the same on every body panel. If you think a dent may have been patched with body filler, put a small magnet on it; it won’t stick to an area with body filler. If other parts of the car have been repainted, there may be paint adhering to the rubber seals around the hood and trunk lid. b. Minor cosmetic flaws and light scratches are no cause for concern, but rust is. Check the outer body for blistered paint or rust. Also inspect the wheel wells, the rocker panels beneath the doors, and the door bottoms. Bring a flashlight for looking inside the wheel wells for rust. Open and close each door, the hood, and the trunk. Gently lift and let go of each door, particularly the driver’s door. If it seems loose on its hinges, the car has seen hard or long use. Inspect any rubber seal for tearing or rot. c.Glass. Look carefully at the vehicle glass to make sure there are no cracks or large, pocked areas. A small stone chip may not be cause for alarm, though you should bring it up as a bargaining point in negotiations. But cracks in the windshield will worsen and lead to a costly repair. d.Suspension. Walk around the car to see if it’s standing level. Bounce each corner up and down. If the shock absorbers are in good shape, the car should rebound just once; it shouldn’t keep moving up and down. Grab the top of each front tire and tug it back and forth. If you feel play in it or hear a clunking or ticking sound, the wheel bearings or suspension joints may be shot. e.Lights and lenses. Have a friend confirm that all lights are working, Make sure all light lenses and reflectors are intact and not cracked, fogged with moisture, or missing. f.Tyres. You can tell a lot from the tyres. A car with less than, say, 20,000 miles on the odometer should probably still have its original tyres. Be wary of a low-mileage car with new tires; the vehicle’s odometer may have been rolled back. Also check that all four tires are the same. Any different tyres may show that they have been replaced. Thread wear should be even across the width of the tread and the same on the left and right sides of the car. Ask if the tires have been regularly rotated. If not, the wear is usually more severe on the drive wheels. Aggressive drivers tend to put heavy wear on the outside shoulder of the front tyres, at the edge of the sidewall. Assume that the car has been driven hard if that area shows heavier wear. Tyres that have been driven while over-inflated tend to wear more in the middle than on the sides. Chronically under-inflated tyres show more wear on the sides. Cupped tyres, those that are worn unevenly along the tread’s circumference, may be a sign of a problem with the steering, suspension, or brakes. Tyres must have at least 1/16 inch of tread to be legal. Check the tread depth with a tread-depth tool (available at auto-parts stores). Examine the sidewalls for scuffing, cracks, or bulges, and look on the edge of each rim for dents or cracks. And be sure to check that the spare is in good shape and that the proper jack and lug wrench are present. 3 Interior It’s the inside of a car that may matter most since that’s where you’ll be spending the most time. 3a. Odour. When you first open the car door, sniff the interior. A musty, mouldy, or mildewy smell could indicate water leaks. Remove the floor mats and check for wet spots on the carpet. An acrid smell may indicate that the car was used by a smoker. Check the lighter and ashtray for evidence. Some odours, such as mould or smoke, can be very hard to get rid of. If you don’t like what you smell, find another car. 3b. Seats. Try out all the seats even though you may not plan to sit in the rear. Upholstery shouldn’t be ripped or badly worn, particularly in a car with low mileage. Try all the seat adjustments to make sure they work properly and that you can find a good driving position. 3c. Pedals. The rubber on the brake, clutch, and gas pedals gives an indication of use. A car with low miles shouldn’t show much wear. Pedal rubber that’s worn through in spots—or brand-new—indicates that the car has been driven a lot. 3d. Instruments and controls. Turn the ignition switch, but without starting the engine. All the warning lights—including the “Check engine” light—should illuminate for a few seconds and go off when you start the engine. Note if the engine is hard to start when cold and if it idles smoothly. Then try out every switch, button, and lever. With the engine running, turn on the heater full blast to see how hot it gets, and how quickly. Switch on the air conditioning and make sure it quickly blows cold. 3e. Trunk. Use your nose as well as your eyes. Sniff and look for signs of water entry. See if the carpeting feels wet or smells musty, and check the spare-tire well for water or rust. 4 Under the hood: Engine related components It’s best to make these checks with the engine cool. Look first at the general condition of the engine bay. Dirt and dust are normal, but be wary if you see oil splattered about or on the pavement under the engine compartment. Also watch for a battery covered with corrosion, or wires and hoses hang­ing loose. Hoses and belts. Squeeze the vari­ous rubber hoses running to the radiator, air conditioner, and other parts. The rubber should be firm and supple, not rock-hard, cracked, or mushy. Feel the drive belts to determine whether they are frayed. Fluids. The owner’s manual will point out where to look to check all fluid levels. Engine oil should be dark brown or black, but not gritty. If the oil is honey-coloured, it was just changed. If the dipstick has water droplets on it or grey or foamy oil, it could indicate a cracked engine block or blown head gasket, two serious problems. Transmission fluid should be pinkish, not brown, and smell like oil, with no “burnt” odour. The dipstick shouldn’t leave visible metal particles on the rag, another sign of a serious problem. Check the automatic-transmission fluid with the engine warmed up and running. On some, the dipstick has two sets of marks for checking when the engine is either cold or warm. Power-steering and brake-fluid levels should be within the safe zone. Radiator. Look into the plastic reservoir that’s connected by a rubber hose to the radiator. The coolant should be greenish or orange, not a milky or rusty colour. Greenish stains on the outside of the radiator are a sign of pinhole leaks. Battery. Some “maintenance free” batteries have a built-in charge indicator. A green indicator usually means the battery is in good shape; yellow or black usually means it is dying or dead. These indicators reveal the condition of just one cell and may not give an accurate reading on the health of the whole battery. If the battery has filler caps, wipe off the top with a rag, then carefully pry off or unscrew the caps to look at the liquid electrolyte level. A low level may mean that the battery has been working too hard. A mechanic can check out the charging system and do a “load test” on the battery. If you can find where a car was usually parked, see if that part of the garage floor or driveway is marked from old puddles of gasoline, oil, coolant, or transmission fluid. Clear water that drips from under the car on a hot day is probably just water condensed from the air conditioner. 5a Feel the tailpipe for residue. If it’s black and greasy, it means burnt oil. Tailpipe smudge should be dry and dark grey. While some rust is normal, heavy rust might be OK but could mean a new exhaust system might be needed. If the vehicle is high enough to slide under, you may be able to do some basic checks underneath. (If not, make sure your mechanic checks it.) Spread an old blanket on the ground and look under the engine with a flashlight. If you see oil drips, oily leaks, or green or red fluid on the engine or the pavement beneath the car, it’s not a good sign. On a front-wheel-drive car, examine the constant-velocity-joint boots inboard of the front wheels. They are round, black, rubber bellows at the ends of the axle shafts. If the boots are split and leaking grease, assume that the car has bad CV joints, another costly repair. Structural components with kinks and large dents in the floor pan or fuel tank all indicate a past accident. Welding on the frame suggests a damaged section might have been replaced or cut out to perform repair work. Fresh undercoating may hide recent structural repairs. Before you close the deal, have it scrutinized by a repair shop that routinely does diagnostic work. A dealer should have no problem lending you the car to have it inspected as long as you leave identification.